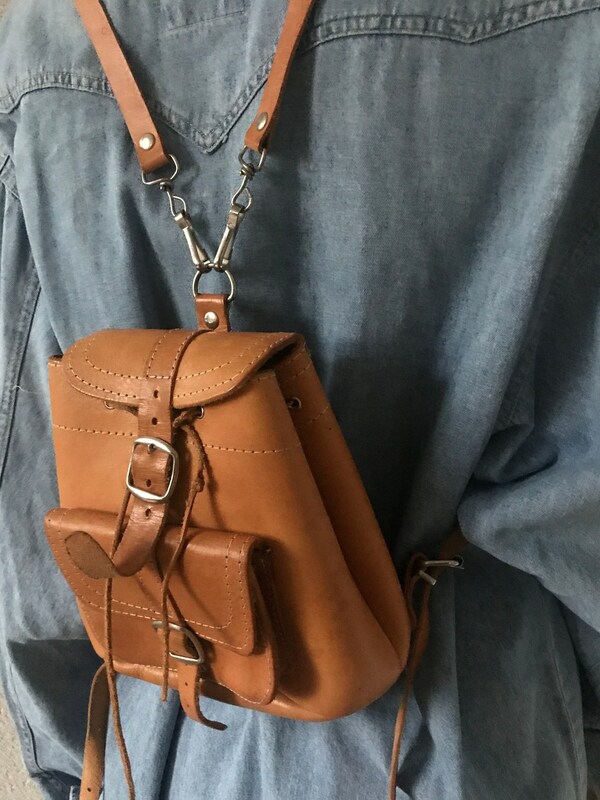 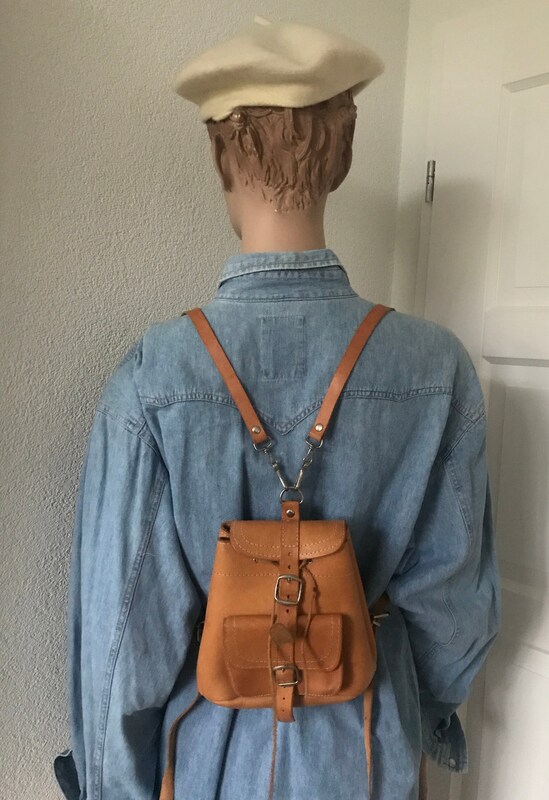 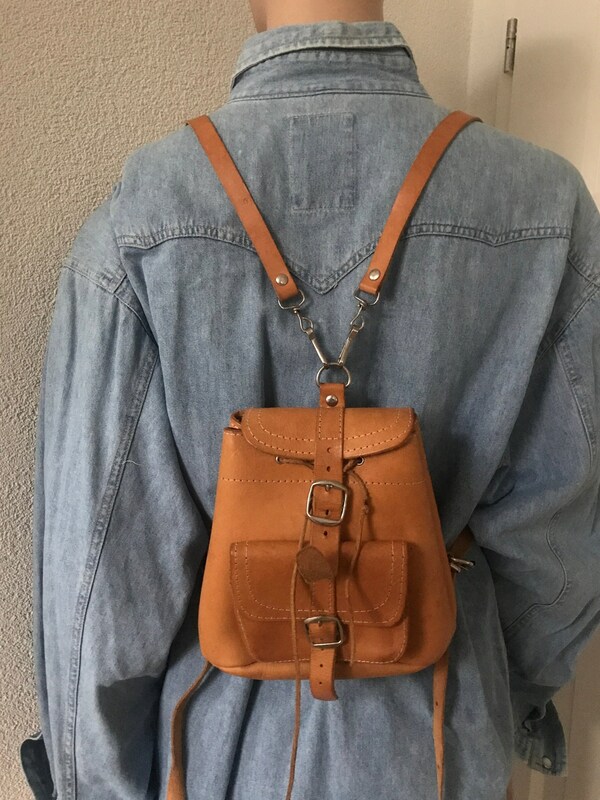 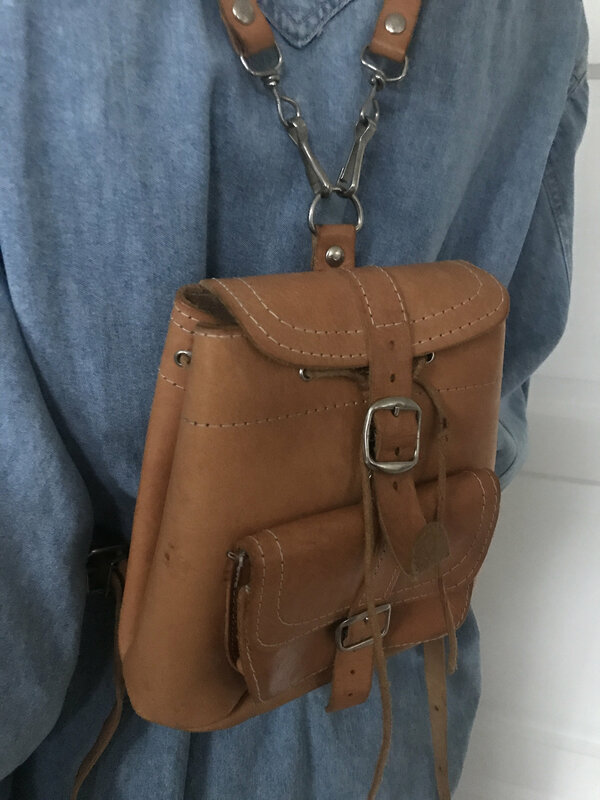 Cute little backpack made of natural leather. 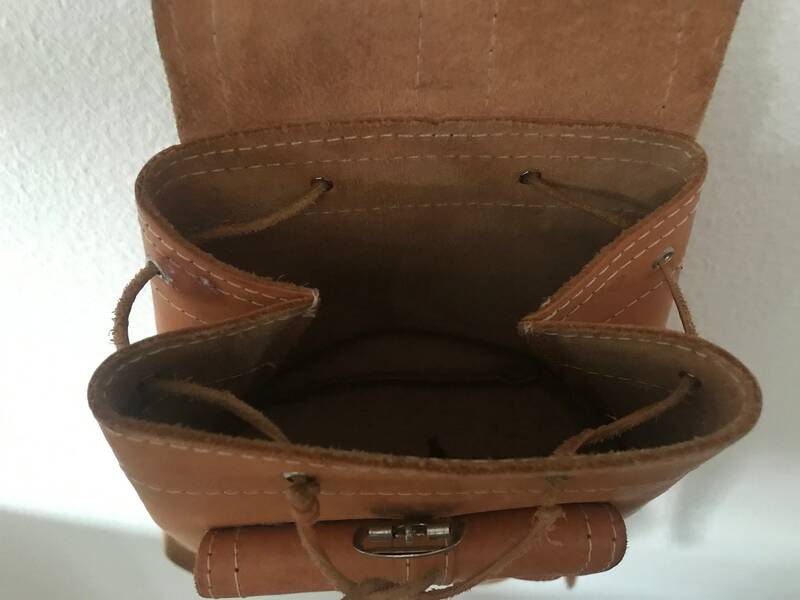 The closes by a leather thread and with a flap. 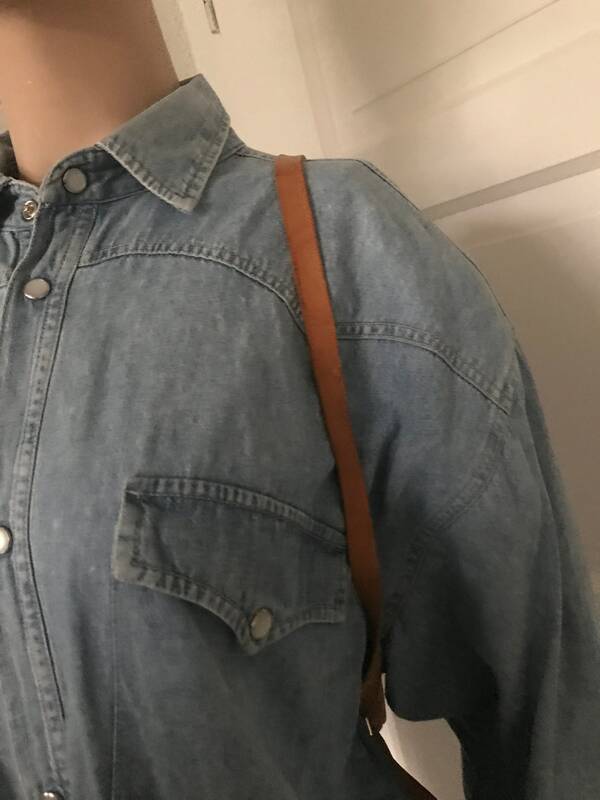 At the front another little compartment. 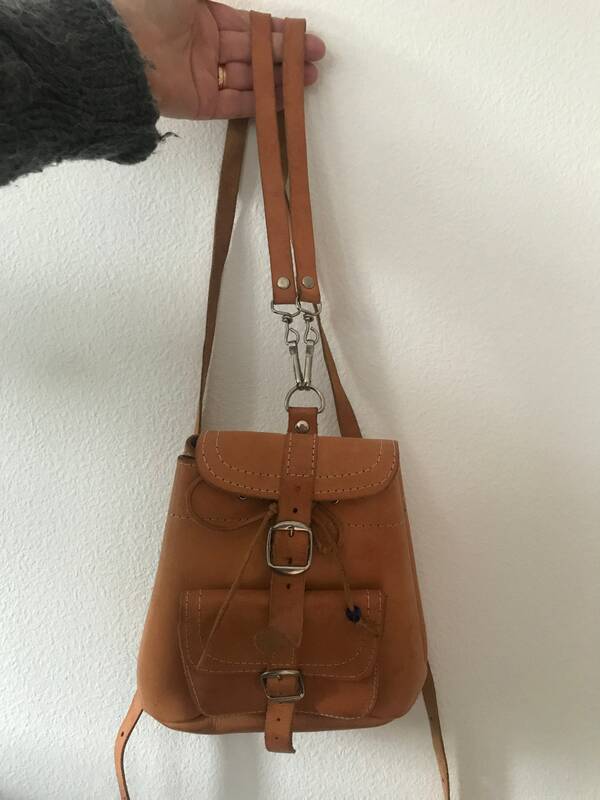 The bag is in a very good condition with some little water spots on the leather.